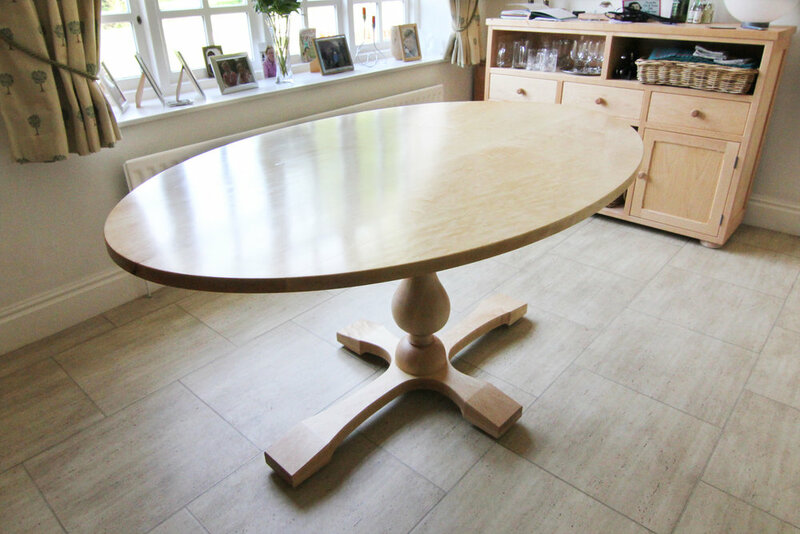 This maple dining table was made with a set of 6 matching chairs. The pedestal was strengthened with a hidden steel structure to keep the table rigid. The curves from the oval top are echoed in the base structure and chairs.